With three children in the house, it is sometimes difficult to find projects that are stimulating and manageable at the same time. 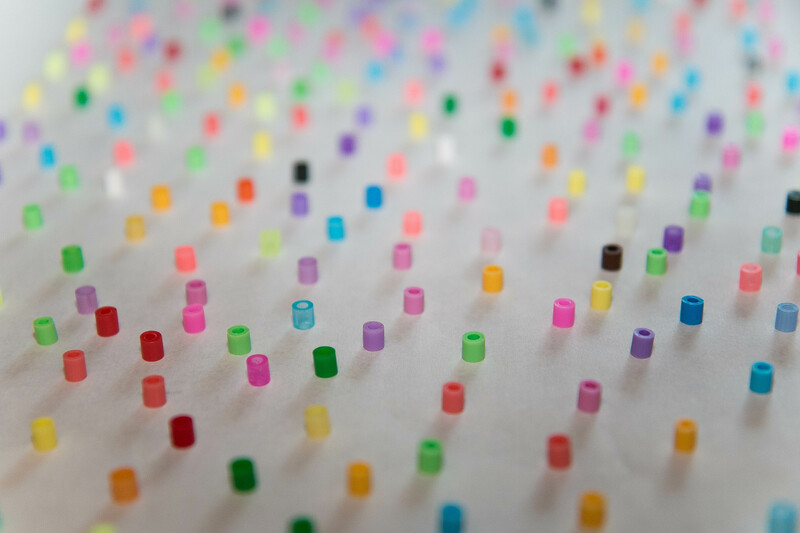 Hama Perler Beads have always been one of our favorites – for big and small – and yes, even for adults! 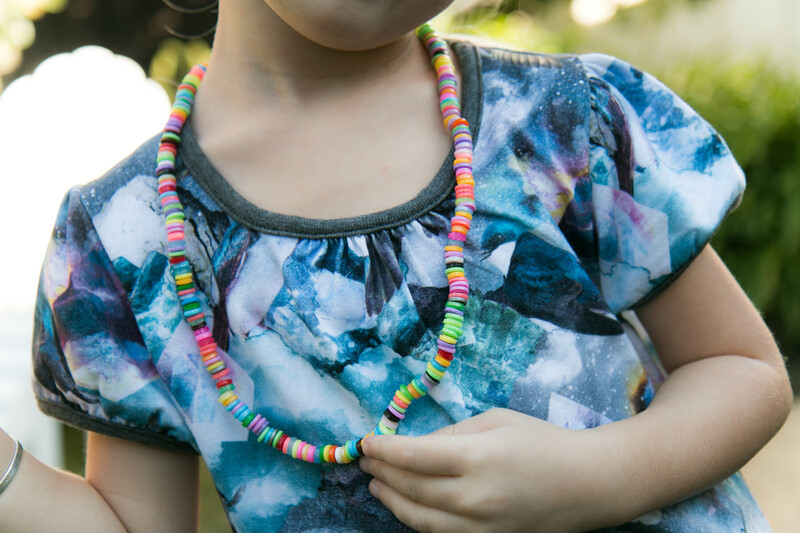 Whether it is summer or winter, inside or outside kids and playmates gathers around our large box with beads and get started with their own projects, while they enjoy talking and laughing. It is a pleasure to observe! And the outcome is never the same!! 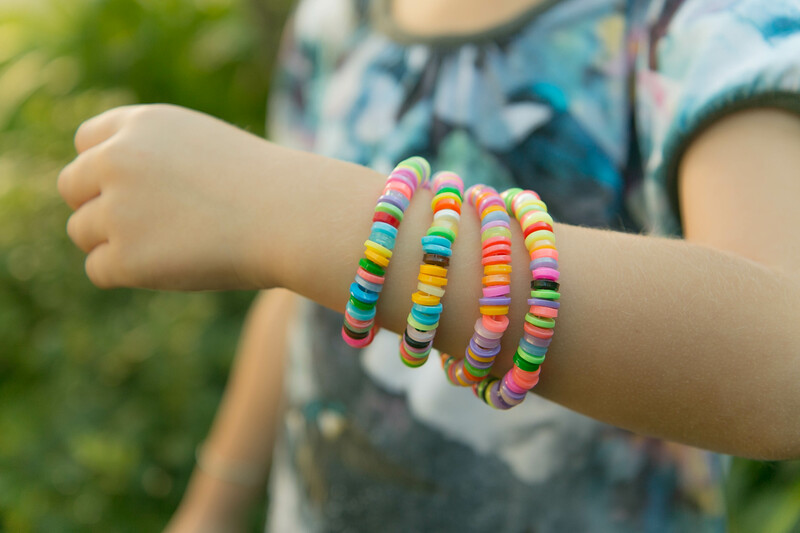 We make plastic beads necklaces and bracelets, we iron the patterns they made on the Pegboards for keepsake and we have even started to bake them in the oven! The last one has been a great success! See how easy it can be done! Place a handful of beads on a baking tray with baking parchment on top. 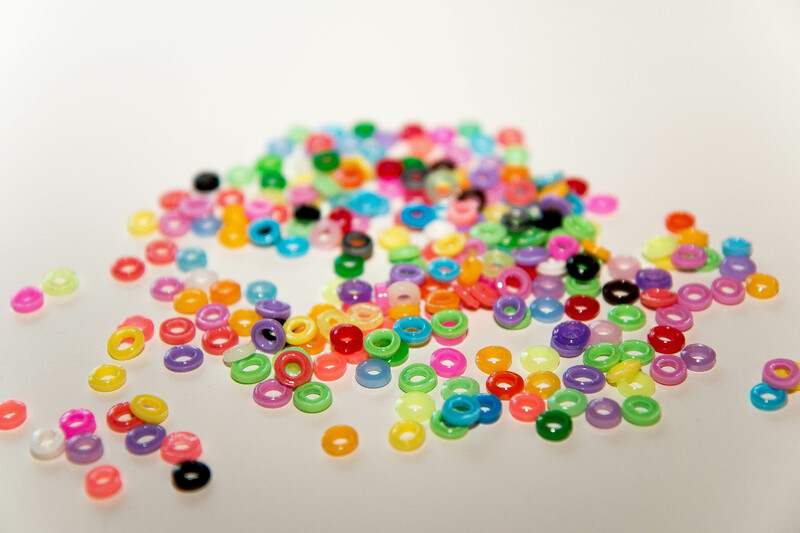 The beads must all stand on their ends and with enough space in-between to melt down. Bake the beads in a preheated oven at 300 degrees Fahrenheit for about 10 minutes. When the beads are cooled, they are ready for use. We have also experimented with making bowls of various sizes. It requires just a bowl (which can go into the oven!) and a little cooking oil to lubricate the inside of the bowl. 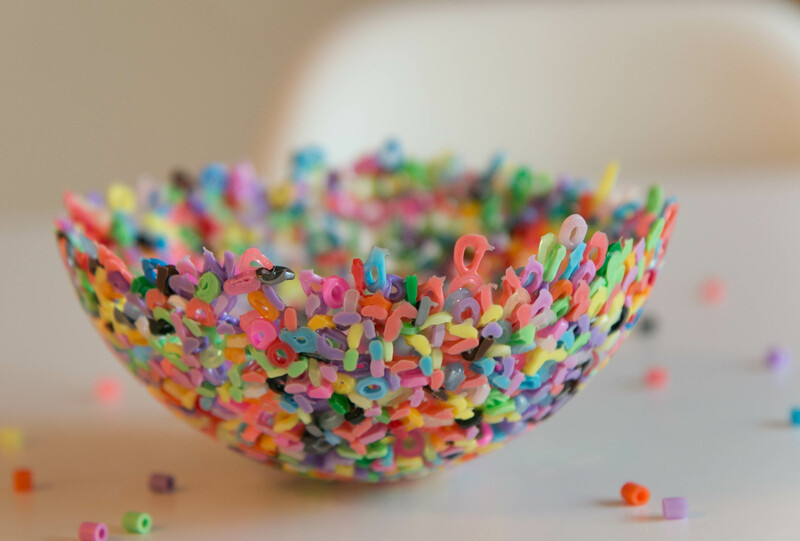 Next, pour the beads into the bowl and tilt/swivel so the beads are distributed nicely around in one layer. Bake the bowl in a preheated oven at 400 degrees Fahrenheit for about 10 minutes and when it is finished, let it cool a little before you gently can remove your pearl bowl from the mold. « Yummy crochet – your new weekend project? !